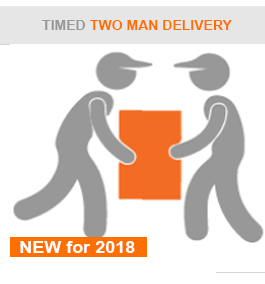 How can you be confident that your order will be despatched on time, be handled with care, dealt with efficiently and delivered professionally? Simple, we operate our own delivery company for your complete peace of mind. Kinetic Logistics is a delivery service that is owned and operated by the Baumhaus team. 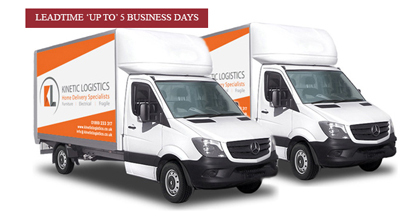 We specialise in furniture deliveries and drop shipping. This enables us to control everything from the sourcing of our timber through to the delivery of goods to the consumer. This gives us a great advantage over our competitors and provides you with a great service for your customers. We have incorporated the same high-tec, 'embrace technology' ethic to ensure that everything is tracked and recorded electronically using the latest management systems. 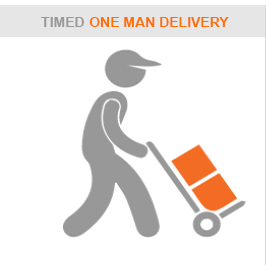 By logging onto your ‘my account’ you can monitor the progess of all your deliveries. We distribute from a large warehouse in Oxford, which is fully high bay racked and operates a serpentine pick system which is Warehouse Management System (WMS) controlled. This optimises efficiency and storage space and enables us to pass greater savings onto our customers. We realise that precision is the key to running a good logistics business and in order to provide the best and most efficient service we have invested in the latest and most innovative technology. The system we operate allows us to track everything in our warehouse using hand held RF guns which use the EAN bar coding system. Nothing is allowed to enter our warehouse unless it has been booked in, and similarly nothing leaves without being properly scanned out. Every item that is brought into us has its own allocated place in one of our 2200 bay locations; all of this means that we virtually eliminate the problem of lost or misplaced stock. Everything from invoicing to delivery notes is automated and carried out via this system which minimises invoice errors.